A walk in the city surrounded by the beauty of the day. This couple, taken from an old photo from the 1940s, inspired the story of a day in the city. 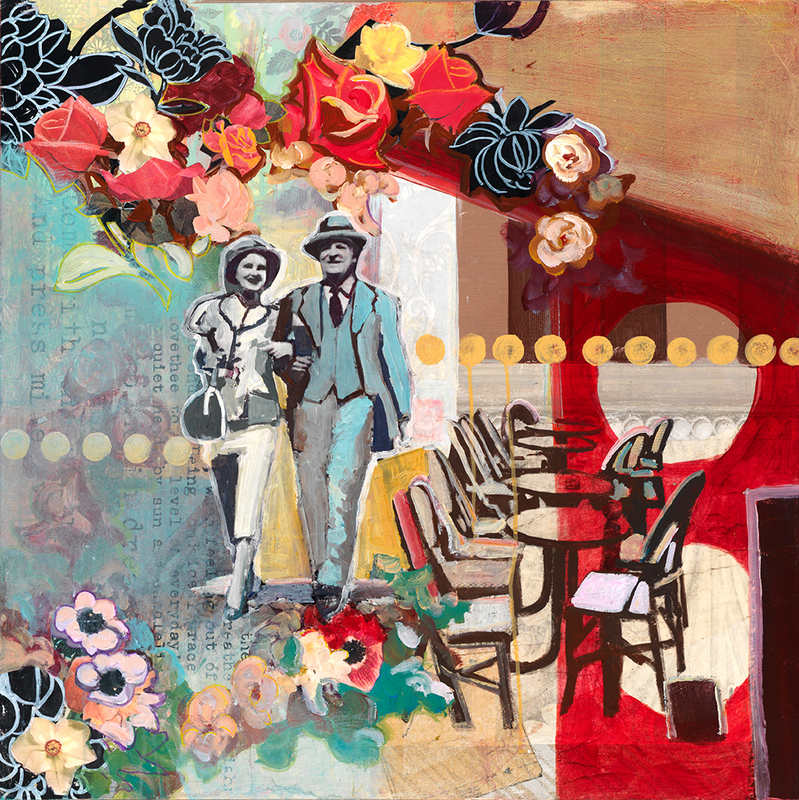 This couple walks by the cafe, and are surrounded by vintage flowers. Full of life and exuberance- hence the title.